Researchers are investigating a potential link between a man’s lifestyle and the metabolic health of his children. 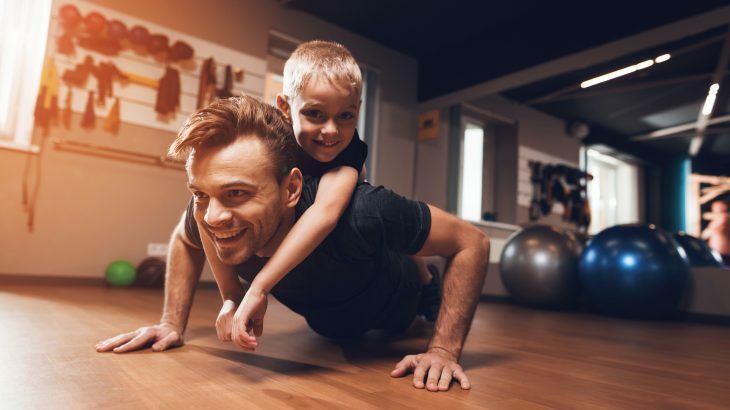 A study focused on mice revealed that offspring born to fathers who exercised had metabolic health advantages all the way into adulthood. The research was led by Kristin Stanford of The Ohio State University College of Medicine and Laurie Goodyear of Harvard Medical School. A growing collection of evidence has suggested that fathers play a critical role in the metabolic programming of their children. At Ohio State’s Diabetes and Metabolism Research Center, Stanford’s team demonstrated this effect in mice. For the study, male mice were fed either a normal or high-fat diet. Some of the mice from each group were sedentary, while others could exercise freely. After three weeks, the mice were bred, and the resulting offspring were fed a normal diet under sedentary conditions for one year. The study revealed that adult offspring from the mice who exercised had improved glucose metabolism, decreased body weight, and a decreased fat mass. The researchers also found that exercise caused changes in the genetic expression of the father’s sperm that suppressed the impacts of poor diets. These health benefits were transferred to the offspring. “We saw a strong change in their small-RNA profile. Now we want to see exactly which small-RNAs are responsible for these metabolic improvements, where it’s happening in the offspring and why,” said Stanford. According to the experts, the study results suggest that small RNAs could help transmit parental environmental information to the next generation. “There’s potential for this to translate to humans. We know that in adult men obesity impairs testosterone levels, sperm number and motility, and it decreases the number of live births,” said Stanford.